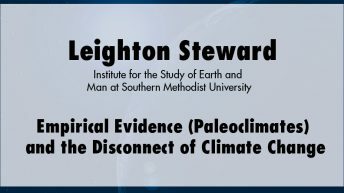 H. Leighton Steward, Ph.D. is chairman of the PlantsNeed CO2 and CO2 Is Green non-profit corporations and the Institute for the Study of Earth and Man at Southern Methodist University. He is also a founding board member of the CO2 Coalition. Steward is a geologist, environmentalist, author, and former energy industry executive. 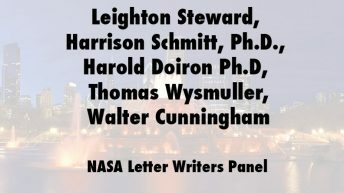 He has written on the loss of the Mississippi River wetlands system, global climate change, and nutrition and health. 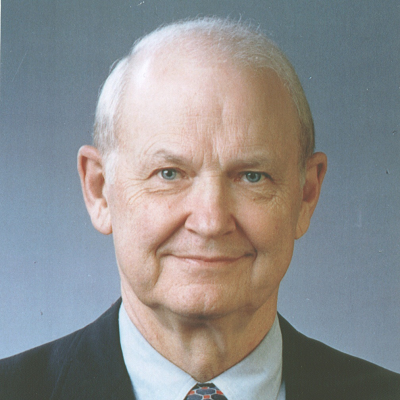 He represented the energy industry on presidential missions to the former Soviet Union and Turkey and to Pakistan. He is on the boards or boards of visitors of the Southwest Research Institute, M.D. Anderson Cancer Center, EOG Resources, and the Buffalo Bill Historical Center. He has been presented with many environmental awards and was twice chairman of the Audubon Nature Institute and chairman of the National Wetlands Coalition for 10 years. His current interests are in educating people and lawmakers on the tremendous benefits of carbon dioxide for the plant and animal kingdoms as well as the misplaced blame on CO2 in causing global climate change.